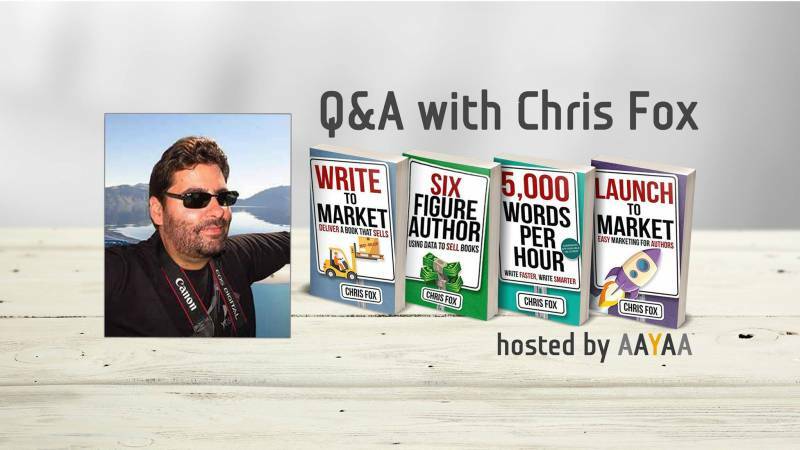 This is an interview with indie author Chris Fox. There’s a lot of valuable content in here so make sure to read carefully. Can you tell us about yourself? How did you start writing? I started reading when I was six. Lloyd Alexander, C.S. Lewis, Tolkien, and those old Choose your own Adventure books from the 80s. By the age of nine I’d discovered Dungeons & Dragons, and pretty much every waking moment was spent daydreaming about fantasy worlds. I spent my entire life wanting to be an author, and published my first short story in a student journal when I was sixteen. Then I turned 18, tried and failed to write a novel, and promptly quit. I couldn’t handle how bad I was, and had no idea how to improve. In 2004 I picked up my first book on craft, and a year later was paid for my first SF short story. I wrote for another year, but was eventually forced to admit there was no money in publishing. I chose to focus on my career until 2009. I started writing again, and finished a novel called Yuri Silvertongue and the Violet Spire. It was terrible and I loved it. I kept writing on and off until 2013 when I met my now wife Lisa. I work with authors for a living, and many of them have followed your Write to Market book. They’ve written to market, have 10 (or more) books out (and they’re good, follow tropes, etc) have great blurbs, great covers, a big mailing list, a free reader magnet, and use thousands of dollars in advertisement when the book releases, yet they still don’t come close to making a living (most only make a few hundred dollars after production costs). I’m not quite sure what to tell them when they ask what they can do next. What makes the difference? Why are some authors releasing one or two books and making thousands, while some follow the same model and still come up short? Is it luck? Better genres? Or something else? This is definitely my favorite question, by far. Publishing is a hard business, and far, far more people will fail than will succeed at the level they’d like to. The successful author is using the same model as the author who missed the mark, but they’re implementing them very differently. The vast majority of people I’ve seen attempt to Launch to Market (see what I did there) missed one or more critical pieces during the process. That’s easy to do, and it can be tough to know exactly where the author misstepped. Did they read all the top books in their genre? Did they network with other successful authors? Did they have a launch plan? Often when I drill down to these questions, authors admit that they fell short in one or more areas. Many did everything right, except that they just picked Military Science Fiction, Paranormal / Urban Fantasy, or some flavor of romance. Those are the categories where Write to Market is most popular, and I’ve watched in horror over the last few months as a flood of new titles land. The clever authors are the ones who are looking for a niche. One that isn’t so heavily crowded. Or, if they’re determined to stick in the competitive one, they really need to take a hard look at their process. Your ROI on a book is important. Spending $5,000 in production costs is risky. I keep my costs as low as possible, and recommend other authors do the same. Do you think co-writing is a good way to build your author rank and increase your output? 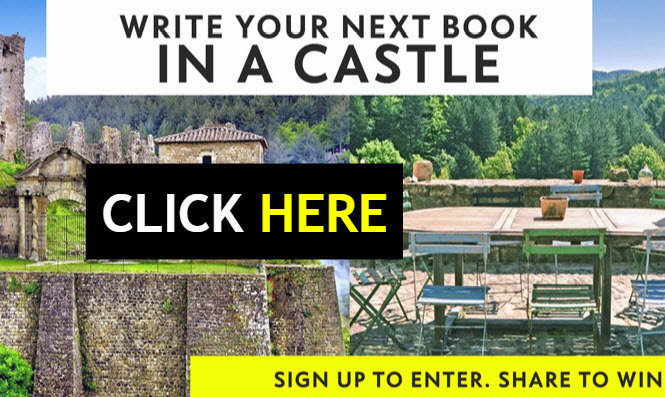 Have you co-written anything or will you? Yes, I’ve seen quite a few authors leverage their combined audiences through co-writing. I’ve never done it myself, but I’d definitely love to try it. It seems like it could be really fun if you find the right partner, and I imagine the increased productivity would let you crank novels out incredibly fast. A few people messaged me privately about my sales numbers. I don’t mind sharing. Here’s a snapshot of my year in BookReport. Note that in January and February I was wide so that’s about $12k not included. Audio sales YTD are just over $30,000. Paperbacks were about $3k. I know authors earning double and triple what I pulled in, and almost every one of those authors produced more fiction in their top selling genre than I did. I plan to triple these numbers next year, and believe that’s very achievable. I published my YA Urban Fantasy in October. I’m polishing sequel now and will have a couple of books out next year. I work as an executive and have small kids. What are realistic expectations time-wise around market research for all this? 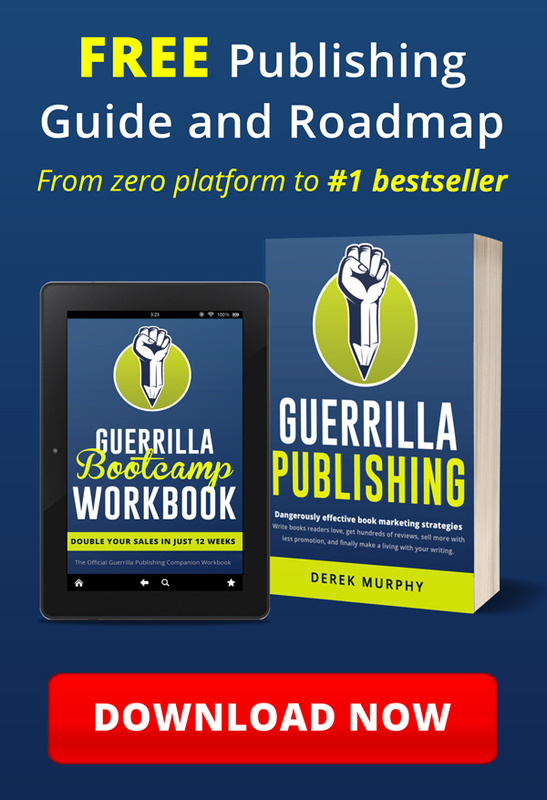 I did okay with my first book, gave away a ton of copies, built a big list, and I’m doing more ads and list-building over the next few months. I see everything as a slow build, but even with only writing one or two books a year, I find the thought of doing the research (forums, etc…) for marketing is overwhelming when I have to take my spare seconds to write. 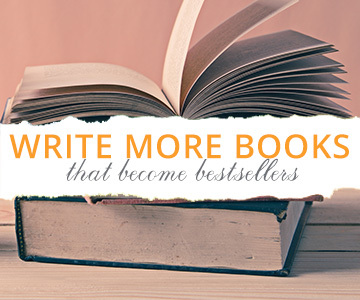 Part of me thinks… just write and don’t worry so much about the sales. I don’t have a ‘quit my day job’ plan (yet)… Thoughts? Help? Writing has to be sustainable, or we’ll burn out. 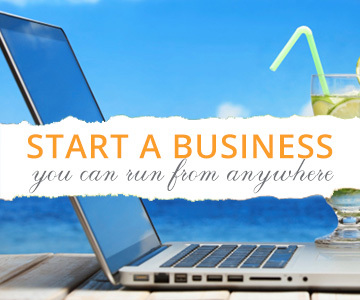 If you don’t have the time to focus on sales, or to focus on finding forums, don’t sweat it. If you have limited time I’d focus on only two things. Read the best fiction in your genre. Always be reading something. Do you think it’s not smart to write in more than one genre, especially when the genres are disparate. I have four young children (I homeschool and one of my kids has autism), so my time is very limited. I was trying to write MG and romance – but now I feel like I just need to put all my eggs in one basket and write only romance (more lucrative). What do you think? I think it’s far, far easier to maintain momentum if you write in one genre. That’s something I’m terrible at, and I definitely pay a price financially for moving from genre to genre. Just published my first YA science fiction in November and am just starting the marketing part. I have read your Write to Market and Six Figure Author books. I had about 7 reviews, all friends and family, but stopped asking people so I don’t polluting my algorithms. This book wasn’t written to market but it does hit many of the YA tropes. How do you get buzz going for your book and garner reviews? I’ve tried a few ad sites but very few sales (I have pro editing and cover). Also I am also almost done with the sequel and need to edit and get it out. Long term plan is to funnel readers in with a free or 99cent book but if I don’t have readers to funnel then I’m kinda dead in the water. Any advice or thoughts from you would be welcome. Thanks for doing this event! Congratulations on publishing your first novel! That’s a huge step most people never take. Your goal is always to find your target audience. What tropes are you hitting? What other popular books hit those tropes? That’s a starting point. I’d recommend taking the time to write a reader magnet for your series, then dive right into book 2 if you haven’t done so. Use the reader magnet to start that trickle of sales / signups, and get book 2 out as soon as you possibly can. Don’t get hung up on rank, or sales figures. If you’re getting even a handful more mailing list subscribers you’re moving in the right direction. In terms of improving my skills learning writing techniques, how do you do it? I think my awareness of my weaknesses has seriously slowed down my ability to sprint. I used to do 1200 words an hour regularly, but now it’s hard to hit 1000. I’m still working to improve my writing, and I’m definitely not an amazing writer (yet). The best way to start is to find someone better than you, and have them tell you what you’re doing wrong. 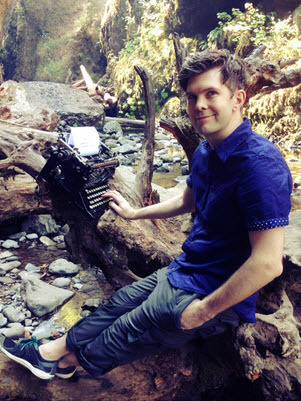 I hired Alida over at Wordessential as a writing coach, and asked her to shred my 2nd novel. She did, and for the first time I had professional feedback. She gave me an honest assessment of my strengths and weaknesses, which told me what to work on. I bought a book on description, and started reading it. When I edited or wrote my own work, I started using the things I’d learned from that book. Was I adequately describing time and place? How many senses was I using? I think the key is practice, but you have to practice the right things. Having a coach or critique partner you trust will get you there faster, but if you have neither just keep reading authors you want to emulate and comparing your own work. 1) If FB ads, Amazon ads, and book distribution sites are losing effectiveness, what IS effective for advertising? 2) How can you tell if an under performing book is worth advertising, just hasn’t hit the right advertisers, or is a dud and you should move onto the next one? 1- I don’t know what the next advertising platform is yet, but I never stop experimenting. I plan to optimize my usage of Amazon and Facebook while I experiment with other outlets. I plan to try more Twitter and Adwords in 2017. 2- I’m usually in favor of moving on to the next one. It’s really hard to work up the discipline to promote a book that isn’t doing well. Plus, it’s never too late to breathe life into a backlist book. If you stop promoting your current series to write another one, you can always come back to it down the road. do you write all your own copy? Blurbs, ad copy, etc. Have you found a best recipe for blurb success? I write all my own ad copy, but I think I have room to improve. I’ve definitely gotten better in the last two years. 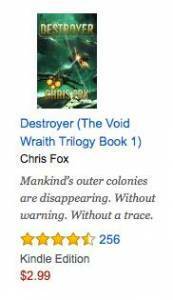 Blurbs, like everything else, need to capture the same tone as the other top selling blurbs in your genre. I spend a lot of time studying other people’s before writing mine. Once I do write mine I have two rules. First, come up with a killer tag line. Second, make your first paragraph scream your genre. You have one full sentence to get their attention, and every sentence after that has to lead them further. Try to craft the best blurb you can, then find a community of smart authors (like this one) and ask them what they think. Refine the heck out of your blurb using the results, and keep revisiting it until you love what you’ve written. Any tips for Amazon AMS ads? Yes, they require constant upkeep. The value of any given keyword changes often. The best way to capitalize on this is using a ton of keywords, and removing underperforming ones every few days. I’ve gone through many thousands of keywords this year. For Amazon ads, do you recommend sponsored product or product display ads? Also, how do you scale up ads that are working? Thanks! I’ve had better luck with product display, but I continue to experiment with both. Both seem viable, especially since more people seem to use product display than sponsored. I’ve really struggled to scale up on my ads. Increasing the budget doesn’t really lead to more impressions / clicks. The best I’ve managed to do is duplicate an add with similar keywords. Can you post some screenshots of your most successful ads, both Facebook and Amazon? Does advertising ever work for standalone books or do you need a full series? Do you advertise the first book as free/ cheap, or a discounted box set? Advertising for standalone books is inherently less profitable, and I’ve really struggled to get a positive ROI. 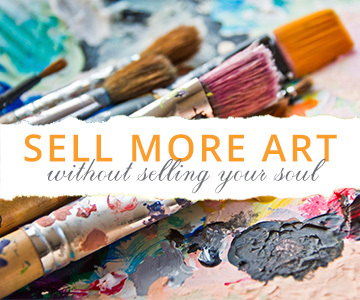 The sell through when advertising a series starter makes it much easier to make money. I do have adds for a box set that I charge $6.99 for. The ads do really well, because the profit margin is so much higher. For my first in series I advertise the book a little cheaper, but not much. $2.99 versus $3.99. Honestly though, I’m planning on raising my prices to see how that affects the market. Expect a video with the results if you follow my channel. Once you’ve written a book to market, how much advertising money should you put into promoting it? I spend about $100 a day for the first week, then start pruning my ads to make sure they’re profitable. If the book is doing extremely well I’ll raise the daily budget, but the goal is always to at least break even. My average monthly ad spend for 2016 is about $2,000. Do write to market books really sell themselves, or do you have to spend money to get it into the hands of readers? Every book you ever publish will benefit from advertising, but the written to market ones will get more bang for you buck. I always advertise the heck out of a first in series. Sequels you can get away with just a mailing list blast, though I often advertise those as well. If so, what kind of promotions are effective, how much money/time do you need to spend on advertising, and how long should ads continue after publication? The kind of promotions that are effective change constantly. It used to be Facebook ads, then Amazon ads. Both are now saturated and the next one could be BB ads. It remains to be seen. I advertise permanently for all backlist books. As long as those ads are profitable or break even I’m a happy man. Do you find FB ads effective, or do you prefer book distribution sites instead? I’ve had limited success with Facebook ads, but even less success with book distribution sites. Both can work, but both are losing effectiveness. My sprints equal to around 400-500 words. After 2-3 of them, I get too tired to do another. What would you recommend for me to do, so I can do more sprints daily? You said you get tired after 2-3. Starting today, do one more extra sprint a day for the next week. That means 3-4 every day. By the end of the week I suspect 3 will be your new minimum. When you daily scale up the Facebook’s ad spend when you’re launching a new book, so you trigger the Facebook algorithm to sell your book, what percentage of daily budget increase you usually do? I typically duplicate the ad instead of raising the spend, so one ad at $5 a day becomes 2. I’ll monitor both, then add a third if they’re still working. Do you mainly use Amazon and Facebook ads to build the proper also boughts during preorder or can you now rely on your fan base at this point to refine that? My ads don’t start until the day the book launches, but I do use the pre-order period to establish also bought. The sales I get during that time are typically organic, as I don’t announce the preorders usually. Do you try to go for a huge push to boost your rankings as high as you can to start with, or do you build your sales up over time? If the former, do you clone ad groups that work to scale up? Or do you use Facebook for that? Amazon ads are already losing power, but I still use them for every launch. I try to do as massive an add spend as I can for the first week, then start pruning the worst keywords. 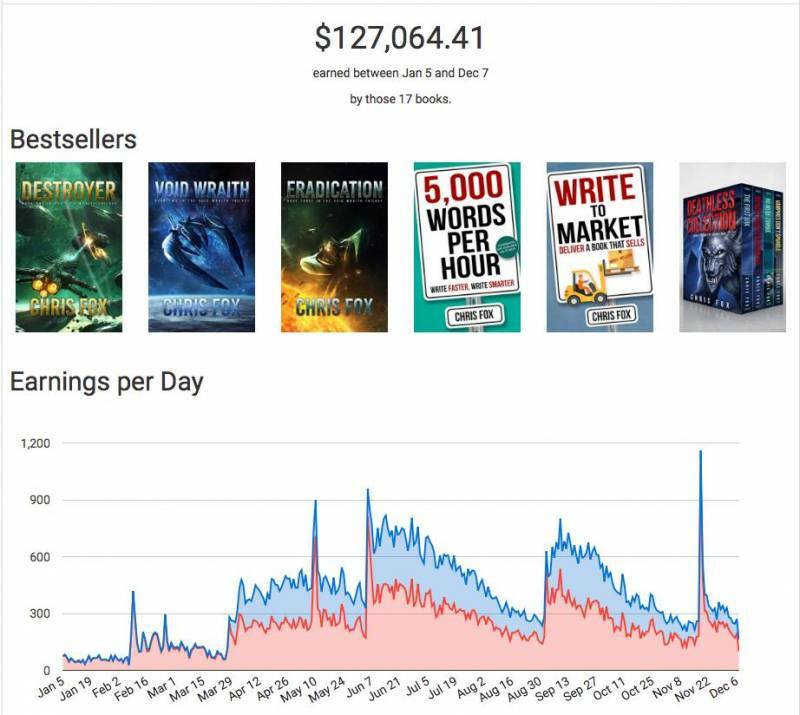 After this interview I started playing with Amazon ads… for $10 a day, I got my book to stick in the #2000 range and sell 636 copies in a month… which is really exciting. As long as you can advertise at a profit, you can keep scaling up. So instead of $10 a day, I can start spending $100 a day and possibly maintain my profit margin (not to mention, with the targeted keywords, my also-boughts will continue to improve, bringing me long-term visibility and more sales.